Where do I start? What are the first steps? What information do I need to provide? These are some of the most frequently asked questions that we, as architects, get from prospective clients. And they are good questions! The design process can be very confusing and overwhelming, so here are a few tips to help you get started. 1. DO YOUR RESEARCH AND DUE DILIGENCE. As you start thinking about a site or location for your new facility, be sure to do your homework. Check that the site is zoned properly for your use. Make sure your site is large enough to accommodate both the size of the building you want AND the required amount of parking. Look into local code and regulation compliance requirements. Investigate the size and capacity of the utilities that currently serve the site. It is important to know all of these things about a site or a new building before you buy or sign a lease, because they can all be difficult and/or expensive to overcome later in the process. 2. GATHER INFORMATION ABOUT THE BUILDING. If you are purchasing an existing building, building out a lease space, or expanding/renovating your existing facility, it helps to gather as much information as you can about the existing building. A set of blueprints is ideal. 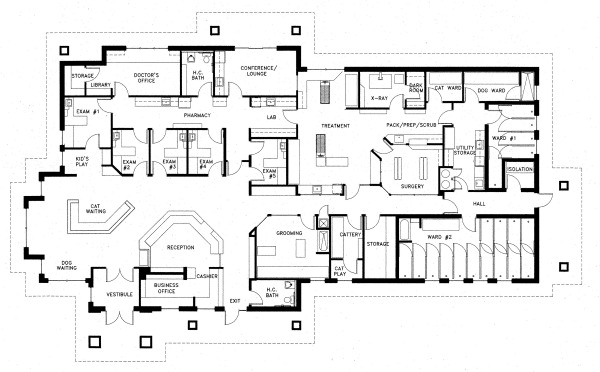 Oftentimes, original plans for a building are rolled up and tucked away in a utility closet or storage room. If you can’t find them, you can always check with the local building department to see what they have on record. Or you can ask the building department for the name of the original architect and try to track down drawings from them directly. It is not absolutely necessary to have a copy of the previous building plans, but if you do, it can help to speed up the design process. 3. TALK TO BANK LENDERS. Knowing what you can afford and how much you will be able to borrow will help define the size and parameters of your project in the beginning stages of the design process. As a general rule of thumb, you can typically borrow your annual gross. However, getting some advice from your bank early in the process can prevent designing a new facility that you love, only to find out you can’t afford to build it. 4. CONDUCT A FEASIBILITY STUDY. If you have gathered the above information and still aren’t quite sure if your project makes the most financial and logistical sense, let your architect help. Your architect can do a feasibility study that will look at all the information you have gathered, combine it with their design and construction expertise, and use that information to help you decide whether or not to move forward. 5. GATHER TOGETHER IDEAS THAT YOU LIKE. You don’t have to have it all figured out, but having a general idea of what you would like in your new building will help drive the design in the right direction from the beginning. Talk to colleagues who have recently remodeled or built a new facility, and ask them what works well and what doesn’t. 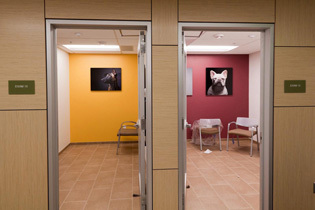 Visit as many animal care facilities as possible, especially new ones, and take note of what design elements, spaces, materials, and finishes appeal to you. And finally, think through your day-to-day operations to decide if any of your current spaces are under-utilized, too large, too small, or if you need a space that you don’t have at all. The more thought you put into these things ahead of time, the easier it will be for your architect to help you create your ideal design. Building a new hospital is an exciting process. It is also a process full of big decisions, one of which occurs right from the start: selecting your site. Choosing the right site for your new practice can play a significant role in everything from the basic design of your hospital to your potential gross revenue. Here are a few tips for picking out your site. BUY THE BEST SITE YOU CAN. Try to purchase ground in a thriving community that is fast growing and prosperous. For example, an urban/suburban location with young families in the middle and upper-middle class income brackets is ideal. Your demographic market is directly related to your gross income; given the right market, your gross numbers can increase even in the first year of running your new hospital. You are making a 30-year commitment to the community in which you build. So consider if it will continue to grow and how it will look 30 years from now. It may make the most sense to purchase land with future potential at the edge of your existing community. This approach allows the community to grow out to you, and you will have less competition from existing practices that are centrally located within the community. In addition, think about your future expansion needs. If you do not have the funds to build everything you want in the beginning, your strategy can include a plan for future expansion. Consider buying a site with more than ample space. Visibility and Access – On the most basic level, people need to be able to find, see and get to your site easily. So choose land that is prominent, visible from a main highway and has easy access. Zoning – Be sure the site is zoned for your use. Call the city for confirmation that the site is zoned correctly. If it isn’t, you can consider getting a variance, but this costs time and money with no guarantees. Also, if you plan to have overnight boarding, check the local regulations that may affect your ability to do so on the site. Capacity – The general rule of thumb is that you will need a piece of ground that is at least four to six times the size of your building in order to have enough space for required parking, landscaping, and setbacks. If you have plans for future expansion, be sure to include the scope of the expansion in addition to the above estimates when considering the overall size of your site. Flat Sites and Soils – You want to look for a site that is relatively flat and has never been used as a dump. If the site looks steep, or if you see debris sticking up through the dirt, think about another site in order to avoid significant extra costs. Utilities – Be sure utilities such as gas, water, power, and sewer are readily available at the site. If they are missing, find out the cost of bringing them to the site, who will pay for it, and when they will be brought in. Consider the factors above before signing on the dotted line, or give us a call to discuss any ideas and concerns you may have about the sites you have visited. How Large Should My Hospital Be? “How much space do I need to meet the needs of my practice?” This is probably the most common question veterinarians ask when they embark on the journey to build a new hospital. But determining the size of a new hospital that meets your requirements is no simple task. It’s a multistep process that should include input from not only you, but also your staff, banker, accountant, management consultant, architect, and contractor. Facility type - What services would you like to offer? Practice style - What is your approach to veterinary medicine? Current needs versus future growth. Here are a few general rules-of-thumb that can help determine the size of your hospital. These rules are not hard and fast, but they serve as a starting point for the planning phase of the project. Allow approximately two exam rooms per doctor. Allow 1,000 to 1,200 square feet of total hospital square footage per exam room. Use a multiplier of approximately 1,000 square feet per doctor when planning larger facilities that may have numerous doctors and/or exam rooms. Your building lot size should typically be four to five times the size of your building. If you already have a site, this may begin to dictate the size of your hospital. Account for ancillary spaces, such as mechanical, plumbing, storage, and support areas. It is easy to underestimate the amount of space required for these areas. A new freestanding hospital: $200 - $250 per square foot. Buildout of a lease space: $130 - $160 per square foot. Remodeling of an existing hospital: $130 +/- per square foot. Excluding the purchase of the site, the overall expense of the project will be approximately one and a half times the cost of constructing the building. The costs above can vary significantly depending on quality of construction, design features, level and durability of finishes, capacity and quality of mechanical systems, the availability of materials and labor, and your location. However, these estimates are a good starting point for moving in the right direction with your preliminary budget. 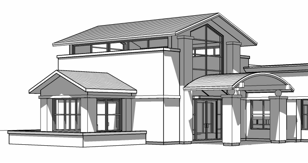 Starting down the path of building a new veterinary hospital can be an uncertain process. But it doesn’t have to be. Seek help from those around you. 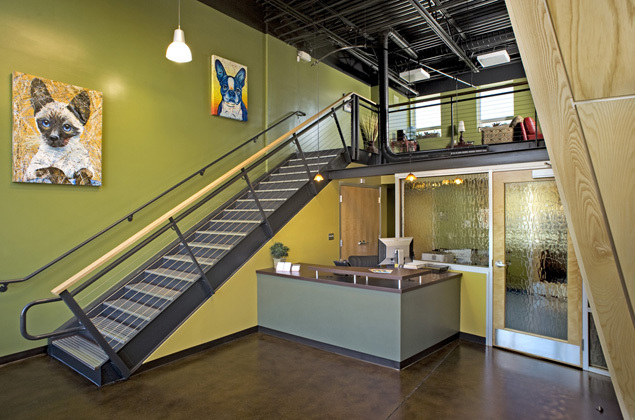 Choosing accountants, lenders, architects, and contractors who have experience building veterinary facilities can take the stress out of the process. Regardless of your budget, remain open-minded during the planning phase of your project. It’s almost a given that your wish list will exceed your budget and/or the space available, but remaining open-minded will help you find a balance between your ultimate wishes and affordability. Keep in mind that you will be living and working in this new building for many years to come. While you need to be realistic about your budget, you should plan for both today and the future. Consider possible expansion needs and create open, flexible spaces that will allow you to accommodate upcoming changes. If you’re short on funds now, you can build a bigger exterior shell, finish the minimum amount of interior space to get started, and then finish the remainder of the interior as funds become available. If you are thinking about building a new veterinary hospital soon, take the time to do your research and get your ducks in a row. Ask for help from others in the industry and hire consultants with experience building veterinary hospitals. Start the process with a realistic idea of how big your hospital needs to be compared to what you can afford. This will help make the initial planning phase of your project go much more smoothly and minimize any surprises along the way! Ashley joined Animal Arts in 2006 as a young, aspiring designer. She has since proven her ability to see a project through from start to finish with great care and attention to detail. Ashley has helped spearhead many of Animal Arts' small-scale veterinary projects, including the Morningside Animal Hospital in Port Saint Lucie, Florida and the Upstate Veterinary Specialists satellite hospital in Asheville, North Carolina. Most recently, Ashley was in charge of the design and construction of a 35,000 square-foot luxury boarding facility in Sterling, Virginia. Bring nature indoors and organize work space to promote teamwork and boost staff spirits. Brought to you by Contributing Editor Richard M. Rauh, AIA, NCARB of rauhaus freedenfeld & associates. If you’re a progressive practice owner, you recognize the importance of creating an employee friendly work environment. You strive to build a culture of trust and mutual respect, emphasizing teamwork, involvement and open communication, while trying to maintain a healthy work/life balance for everyone on your staff. So you’ve carefully aligned all your human resources and management policies – virtually every aspect of your day-to-day operations – to achieve this goal. But there’s one element you may have overlooked: your hospital’s physical work space. 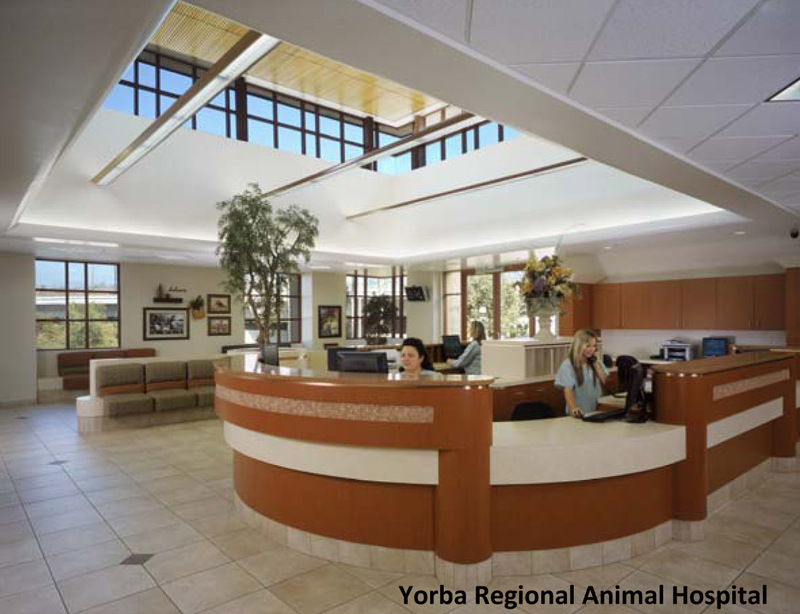 As an architect, I have collaborated with veterinarians for more than 26 years. I’ve learned that creating a sense of place is essential to shaping the culture of a practice. Employees will not only be happier, they’ll be healthier, too. A recent survey conducted by the University of San Diego found that workers in “green” buildings are more productive and call in sick less often. Does your facility provide a sense of place that gives employees ownership of their work and empowers them to make a difference? 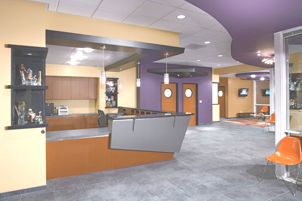 How does your hospital’s design promote a spirit of unity and teamwork to boost morale and foster change? Does the design of the space reflect a sense of forward thinking and compelling vision for your staff? Does it evoke a sense of meaning and purpose for your employees’ specific roles in the practice? Is the practice pleasant to work in? 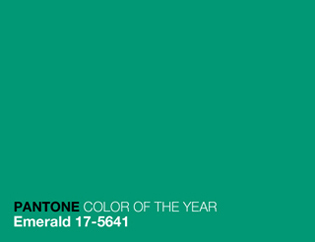 Are the colors and spaces uplifting and emotionally friendly? What special employee amenities are there currently in the practice? Is the practice designed throughout with technological efficiency? Does the design incorporate “places of honor” by recognizing and celebrating employees’ accomplishments? Are there positive, interactive private indoor/outdoor conference areas of the hospital where principals can socially interact with employees to promote a sense of community? Ironically, one of the most influential figures in designing employee-friendly work spaces is not an architect, but a scientist. We know that both human and animals respond to nature on a cellular level. Harvard biologist Edward Wilson calls this psychological dependence on the natural world “biophilia”. It’s the love of nature, the human propensity to affiliate with other life forms. I’d argue that few humans exhibit this propensity more often or more passionately than veterinarians. Design professionals instinctively want to bring the natural environment into our buildings through the use of natural daylight and exterior elements. Large windows, skylights, courtyards and faux trees are all ways of achieving this ingrained desire to be outdoors. When designing break rooms, we try to link them to an outdoor amenity, like a small patio or shade pavilion. This can serve as an alternative location for office meetings and employee appreciation events. We create a space for more social interaction, a place for people to bond. Another bonding area is created by what we call the “fishbowl office”. This is strategically located within the treatment area. Doctors and technicians are able to make follow-up calls in a quieter environment, while still having visual control and monitoring of the treatment and CCU areas of the hospital. They can also talk about their caseloads, what’s happening and interact with each other on a more personal level. Improved indoor air quality also makes for a more employee-friendly facility. In a highly sensitive indoor environment where the spread of bacterial and viral infections is a major concern, indoor air quality can have a significant impact on employees and their patients. Increasing outdoor ventilation rates in animal holding areas will help purge the building of odor and bacterial contaminants. Another increasingly popular strategy is to install ultraviolet germicidal irradiation systems. These systems use ultraviolet light to kill or neutralize many microorganisms. These lamps can be installed directly in the mechanical system ductwork to help clean and sterilize the air. 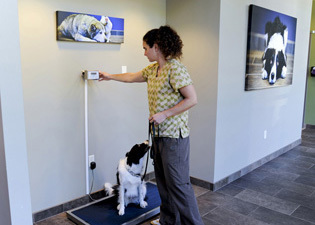 With budgets strained and people re-evaluating their needs, animal care facilities must be designed to maximize efficiency by using the least amount of space and still provide for future growth. This can be a challenge, especially for smaller practices. When considering changes to my wife’s 2,600 square foot clinic, we measure by the square inch, not the square foot. It’s always a struggle to balance employee creature comforts with what is considered the hospital’s profit centers. But, in reality, even break rooms contribute to a practice’s bottom line when employees are incented to work harder and feel a sense of place that gives them a sense of authorship of their work. The green movement has infiltrated our political, social and economic lives and is now catching on in the veterinary community. In the United States, buildings account for almost 40% of greenhouse gas emissions. 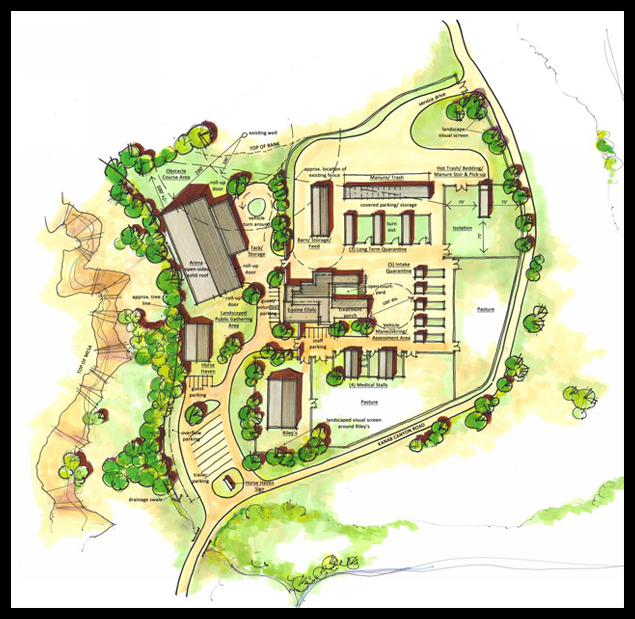 Owners can have an enormous impact on the environment when they renovate or build a new animal care facility. Aside from being more energy efficient, green buildings provide great benefit to a practice in terms of marketing and employee retention. But you don’t need to embark on a major renovation project to make an impact with your employees. Your staff will notice any physical improvements – even a fresh coat of paint - that are implemented with the purpose of making their work space more efficient, comfortable and, most importantly, happy. Brought to you by Contributing Editor Vicki Pollard of Animal Arts. In 1896, Louis Sullivan coined the phrase “form ever follows function” more popularly known as “form follows function.” At the time, this new idea marked a huge shift in American architecture. It allowed the design of buildings to better respond to the functions/tasks that were carried out inside of them, instead of strictly following historical precedence. Louis Sullivan devoted his attention to both the exteriors and interiors of his buildings. He strongly believed that the exterior of a building should reflect its interior functions. He allowed the function of the spaces he designed to influence the overall layout of these spaces. 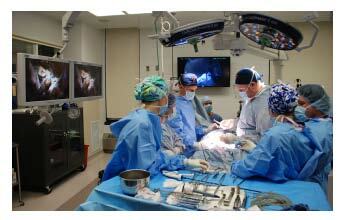 Day-to-day operations can drastically influence the layout of your hospital. Some important areas that come to mind are x-ray rooms and boarding or large dog holding areas. In radiology something as simple as choosing to sedate animals while x-rays are taken can influence the design of the room. 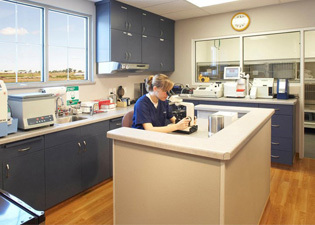 Sedating an animal and having a nurse or technician take the image outside the room demands a unique layout. 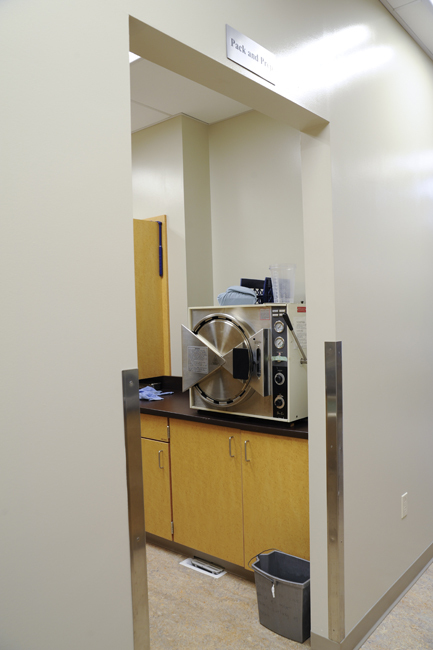 A window or alcove directly outside the x-ray room is needed to view the patient while the x-ray is being taken. The operation of cleaning and maintaining runs or boarding areas also has an impact on the layout of a space. In our animal shelters we recommend using runs that are back-to-back with a guillotine door in-between so you can usher an animal to one side while you clean out the other side. Because of the necessary repetition of cleaning dog runs, it is important to make sure that the layout of this area is as efficient as possible. Using a high-pressure sprayer versus a standard hose can have an effect on your spatial layout. A high-pressure spray system has to have a dedicated area for the main equipment along with dedicated power. If you are using a standard hose and mop to clean, having sloped floors and individual floor drains in each room will significantly cut down on cleaning time and will decrease cross contamination between runs. Knowing what types of equipment are going to be installed into your facility up front will greatly aid in designing the functional layout of the space. There are numerous large ticket items, such as fluoroscopy, CT and MRI equipment, that if not decided upon early in the design process can end up increasing your construction budget. While it is easier to keep large items in mind, sometimes we lose track of smaller items that can also influence the efficient design of a space. One example is the ultrasound machine that is used mainly by technicians to perform Cystocentesis. Think about the actual size of this machine, where it will be located in your treatment room when in use, and where it will be stored. The second piece of equipment that can easily be overlooked is the ventilator. In some emergency or high volume intensive care units there are a fair number of ventilator cases. 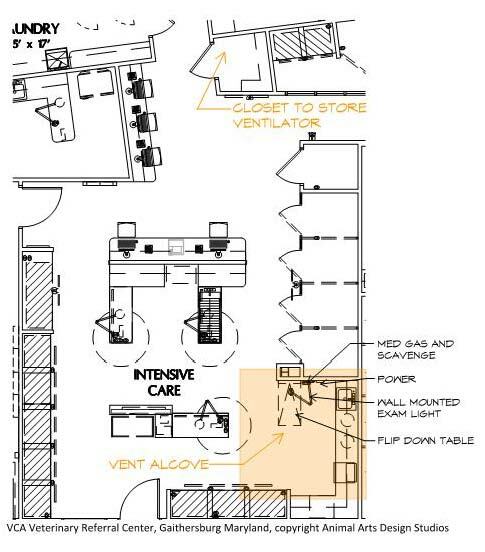 We have found that in these special facilities it is extremely valuable to design in a designated vent alcove. Typically this is created in the corner of the main ICU or CCU space. It needs to be in a relatively quiet part of the room, where traffic is minimized. If you cannot take up valuable floor space for this, then at minimum mount a flip-down table, exam light and medical gasses on the wall. The third element to think about for “form follows function” is personnel. This last item is pretty simple. When laying out the various spaces in your hospital, think about how many and what types of people will be needed for specific procedures. The best example of this is a surgery room. In the most extreme case, such as at a teaching hospital, the operatories will need to be oversized to accommodate a surgeon, intern, surgery technician, anesthesia technician, and visiting observers. Things can get pretty tight if the space is not designed to accommodate all of these people. Video conferencing, where the actual surgical procedure is captured via live feed into a conference room, is another way of accommodating a larger group of people with the same end result. Boom arms that hold cameras in the surgery suite and the layout of the conference area are both aspects of the design that need to be well thought out. There are three key components to keep in mind as you are designing your facility to ensure that the form truly follows the function of the space. If your facility’s design is dialed into these components – operations, equipment layout and personnel – then your space will work well for years to come. When I was a youngster, I was very involved in building many things - from Pinewood Derby cars, plastic and wood model airplane kits - to tree house construction in my back yard. I also enjoyed drawing objects in three-dimension at a very early age. Not knowing at the time that it was my destiny to become an architect, I had come to appreciate and rely upon having the proper tools to build my models and other various fun projects. What I also learned from my childhood model building experiences was to “look before you leap” by carefully reading the assembly instructions (which came inside each model kit) before attempting to put any/all of the various model parts together. I look back and think about what must have gone through those wonderful minds of the early Revell, Monogram and Aurora scaled model kit makers. They had to create an illustrated, step-by-step basis instruction guide (complete with 3D developmental assembly diagrams) that had to be simple (yet comprehensive enough) for a youngster to follow. I remember hearing my Dad chuckle when I (at about 4 years of age) had erroneously referred to those scaled model “instructions” as “destructions.” I also remember my father’s credo “to measure twice and cut once” before proceeding with any assembly or cutting. This was a very simple rule which I faithfully follow today to create and accomplish architectural design in remembrance of my father and for the important lessons he taught me in life. As architects, we learn from history and often look back to masters like the early Greeks and Romans to better understand the principles of balance and proportion. With the same purpose, I also look back at my early childhood scale model building days to understand how to better (and more clearly) communicate function, form and space. 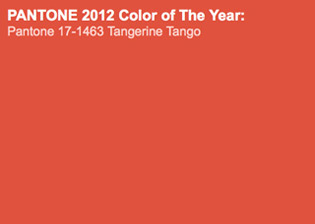 Today, as in the past, I find and utilize the best design communication tools available. There is a simple yet very clever and effective technique derived from those early Revell scale model kit guys. I like to simply refer to it as “3D Construction Illustration Modeling.” It is truly a great “tool” to clearly communicate design intent to both our clients and contractors alike. Today, with new enhanced 3D Cad technology, we are taking our design development and construction drawings to a new industry level. We have basically emulated the principles derived from the 3D diagrammatic illustration techniques (similar to those early, scale model instructional pioneers) and incorporated them as “Pre-Construction Views” into our veterinary construction document drawings. We complement our 2D plans, sections and elevations with these supplemental 3D perspective and isometric model views to improve upon communicating design intent (to both the Owner and Contractor). 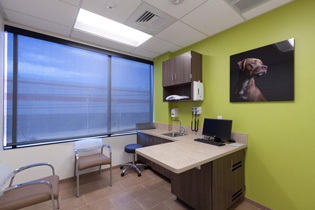 Every new veterinary hospital we design is essentially a prototype – for each hospital has its own special features and space based upon specific user requirements. The conventional methods used by most architects today depict only 2D (plan, section and elevation) drawings views within their construction drawings to communicate design intent to their client and their builder (except for maybe a 3D perspective rendering on the cover sheet). These conventional, “flat” two-dimensional, single-line drawings are often difficult for most people (with untrained eyes) to understand and thus totally appreciate how a space will actually look after it is built. 3D Construction Illustration Modeling is the bridge to enhance this understanding. Another big advantage of using 3D construction illustration modeling to supplement our construction drawings is that it also serves to help clarify design intent with the various trades in the construction industry that will actually be “building” the project. This approach greatly reduces the time spent by a Contractor in understanding, coordinating and seeking further clarifications on some of our architectural joinery/detailing which in turn expedites quicker and smoother construction. Virtually everyone involved in the construction process benefits. We have experienced first-hand that this technological approach has already saved both our client’s and their contractor’s time (and money) by reducing clarifications, addendums and formal change orders. Furthermore, the faster an Owner receives his/her Certificate of Occupancy, the faster they can start booking appointments and generating a profit. 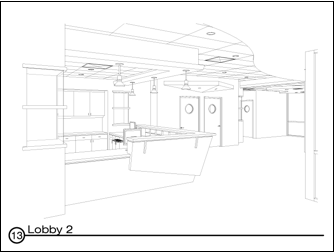 Incorporating both 2D drawings and 3D modeling into our construction document drawings just makes plain and simple “bottom-line” sense. 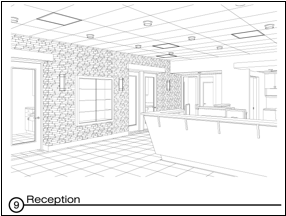 Our clients greatly benefit with an enhanced and insightful sense of what their new spaces(s) and work environments will actually look like before it is constructed (right down to showing the medical light fixtures, LCD computer screens, microscopes, door handles, etc.). The use of these pre-construction, 3D modeling tools make our job of communicating space both more natural and easily comprehendible, thus our clients become more confident in their design decision making process. In 2005, the founders of two of America’s most respected animal care design firms joined forces to create an unrivaled synergy of expertise and creativity. rauhaus freedenfeld & associates (rfa) is the product of the strategic merger between Rauhaus Architects on the West Coast and Warren Freedenfeld & Associates on the East Coast. Founded in 1984 by Richard Rauh and in 1973 by Warren Freedenfeld, respectively, both firms earned national acclaim for their innovative designs. The fusion of these talents has put rfa on the map as one of the finest animal care architectural firms in the world. Each of rfa’s principals has made an impressive mark in their field. Richard is well-known for his striking contemporary designs, while Warren is renowned for his skill in integrating comprehensive programming details into remarkable contextual architecture. Because of their pioneering contributions, the expertise of these seasoned architects is admired and in high demand. In addition to achieving a myriad of awards, they have lectured all over the world and published numerous articles in well-respected animal care and architectural journals. Cats are susceptible to all manner of disease as a result of inadequate housing. The animal care industry is responding to this issue by promoting an increase in the size of individual cages and by enriching the cages with hiding boxes, resting ledges, and separated eating and litter areas. However, we also need to address how to properly ventilate feline environments. In this article, we will explore practical solutions for getting fresh air into a cat cage and moving dirty air out. Research from the UC Davis Koret Shelter Medicine Program indicates that airborne transmission is only the fourth most important cause of disease among cats in shelters behind fomite transmission, environmental contamination, and direct contact. In fact, studies show that cats do not have the lung capacity to project airborne pathogens across a room. It is still important to a cat’s health and wellbeing to have the benefit of fresh, uncontaminated air. Yet, most typical designs do not accomplish this simple goal. For example, even when one supplies 25 air changes per hour to a typical cat ward, the air exchange rate inside a cat cage can be almost negligible. This is because the cage is a dead air space outside of the primary air exchange pattern in the room. The practice of aggressively ventilating an entire room does accomplish odor control, but it is not necessarily bringing much benefit to each cat. If we exchange air through the cat cage instead of around it, it is possible to achieve room odor control while reducing overall room air exchange rates and increasing the effective air exchange rates in the cats’ breathing zone. Your cages don’t have to be built in to be ventilated. A rolling cage is a very practical home for a cat in a facility and has many advantages. It can be cleaned easily, it can be reconfigured based on need, and it can be rolled from room to room with its occupant inside to reduce unnecessary handling of cats, which is a significant source of stress. But how does one ventilate a rolling cage? We originally considered a solution that involved plugging a return flex duct into the back of a cage, similar to a dryer duct. However, this has proven to be clumsy, unsightly, and not very practical. The low-tech solution illustrated below accomplishes the same goal without the disadvantages. The wall behind the cage is designed to accommodate the exhaust ductwork, while the supply is located in the ceiling in front of the cage. The cage must then be outfitted with a grille in the back. Most caging suppliers will work with their clients to have this grille installed in the cage while it is manufactured. The cage is backed up to the wall, and air is naturally sucked through the cage on its way to the exhaust grille. In order to prevent air from rushing around the cage, we recommend placing a rubber bumper or neoprene gasket at the top and bottom and both sides of the cage along the wall to provide a better seal. 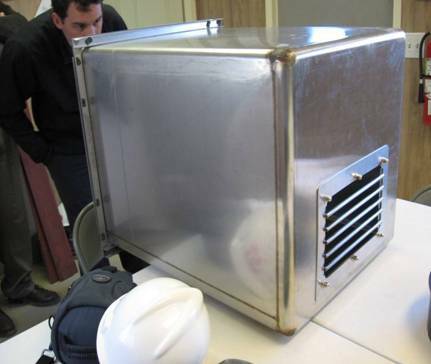 A mechanical engineer should be able to use volume measurements to calculate the CFM (cubic feet per minute) that will flow through the cage and adjust the overall volume of room air exchange accordingly. Our office uses 30 CFM per cage (depending on the size of the cage) as a guideline, because this volume of air exchange provides sufficient odor control without creating a feeling of air rushing through the cage. Even if you use less than this amount, the result will still be more satisfactory than in a typical ceiling-ventilated room, because the air is flowing in the direction that most benefits the occupants. If the cage is built in, then the solutions depend on the cage configuration. Two-sided configurations are typical in cat adoption areas. Typically, the purpose of this design is to provide a front viewing area and a staff zone behind the cage. The simplest solution for ventilating these cages is to supply the air in the public viewing aisle, pull the air through the cage, and exhaust on the staff side of the enclosure. This involves nothing more than providing a ventilation slot at the top of the cage on the front side. Your mechanical engineer should calculate the size of this slot. Our office typically uses a continuous slot of one inch. We locate the slot at the top of the cage to prevent the cat from being stressed by potential adopters. The cage should not have an all-glass front or there will be no way to pull the air into the cage. The ventilation chase must be accessible and cleanable to prevent litter dust from accumulating. The chase and duct attachments must be sized properly to achieve the air exchange that is desired. Do not assume that the manufacturer has worked this out in a way that is satisfactory for your project. For a recent project, we worked with a manufacturer to create a custom duct attachment piece. The ventilation chase solution can also be used in two-sided cat cage configurations if you wish to prevent litter odors and contaminated air from flowing into the staff zone behind the cages. The solutions presented in this article are only some that are available to you. The purpose of discussing these possible solutions is primarily to raise awareness and create a dialog about this important issue. If we shift the paradigm from thinking about what is best for the room to what is best for the cat, then we are working together to dramatically improve the quality of life for cats in individual housing. Introducing Shor-Line's New Contributing Editors. If you are anything like the rest of America you are trying to get all the important information you seek and need in one place. You want it timely, accurate and unbiased. With this in mind we have invited industry professionals to be contributing editors on our blog. In conjunction to our regular posts you will see architects, vet techs, shelter professionals and many others providing their industry knowledge. With the enhancement of our contributing editors to our blog we hope you find the Shor-Line Community a place where you can join the conversation, gain industry insight and contribute as well. Next week our first article will be on the topic of "How To Ventilate a Cat Cage" by Vicki Pollard, AIA, CVT of Animal Arts. Vicki brings unique experience to Animal Arts with degrees in both architecture and veterinary technology. 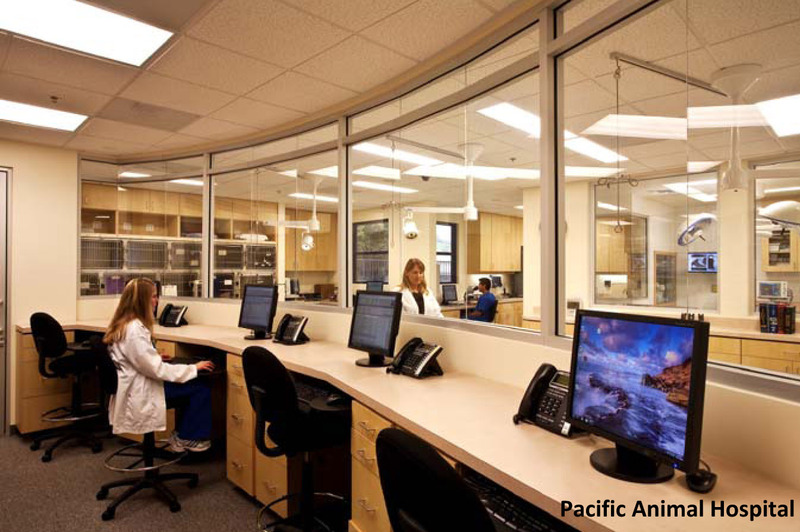 Prior to joining Animal Arts, Vicki worked as the Owner’s Representative during the construction of the Alameda East Veterinary Hospital campus. 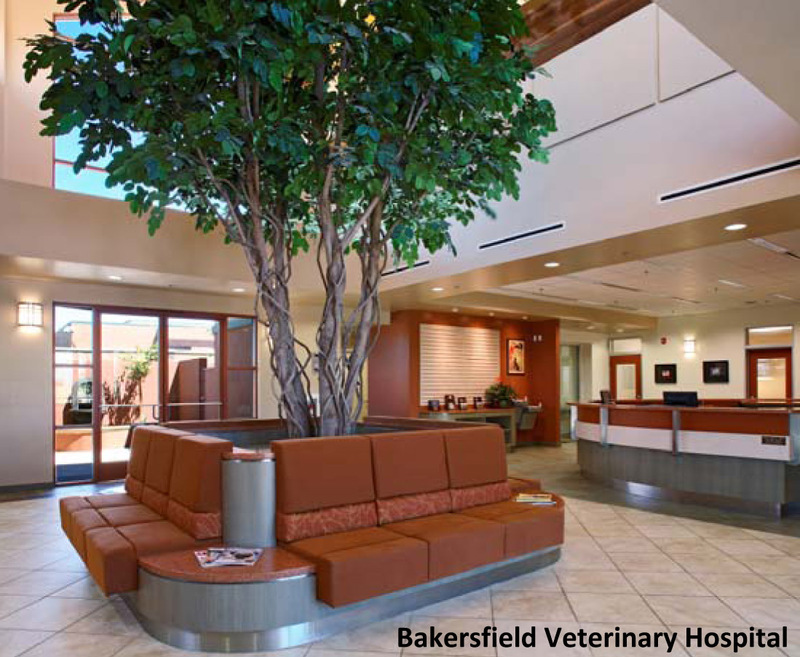 Vicki has proven to have an almost unlimited capacity for keeping track of owner’s requirements, specialized medical equipment and design details on complex, large-scale veterinary specialty facilities. She has worked on a variety of projects since joining Animal Arts including the Coral Springs Veterinary Hospital, VCA South Shore Animal Hospital, VCA Kaneohe Animal Hospital in Hawaii and VCA West Los Angeles Animal Hospital, a premier 42,000 square-foot specialty referral center. Check back next week to learn "How To Ventilate a Cat Cage". Our blog articles are published through our social networks (Facebook and Twitter) in real time. Let us know what you would like to discuss!